...A lightweight knit. 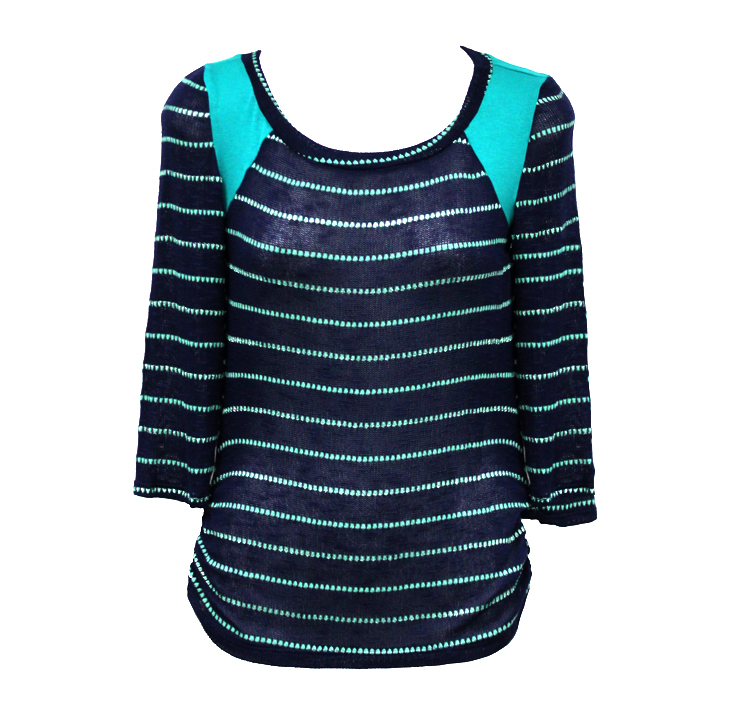 The lightweight knit pullover features cropped sleeves, rounded neckline and trendy shoulder accents. Semi see-through knit fabrics are the perfect alternative to the sheer chiffon fabrics you've been wearing all summer.